Effluent pumps are designed for handling dirty water in typical septic tank / effluent applications. High temperature models are available. 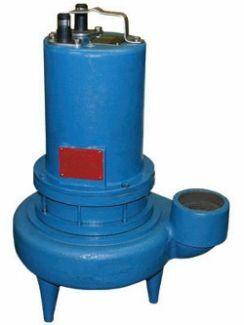 Barnes grinder pumps are designed to reduce sewage particles to a finely ground slurry. 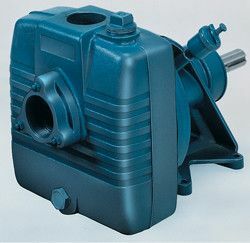 The Omni Grind™ Plus features patented two stage technology allowing the pump to run continuously at high or low heads. Barnes and Crown offer a broad range of engineered self-priming centrifugal pumps for a variety of light to heavy-duty wastewater applications. 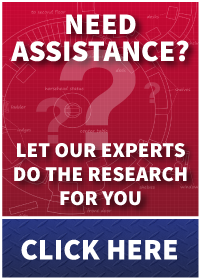 Designed specifically for unscreened raw sewage or industrial waste applications. 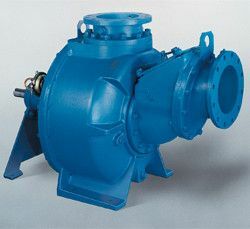 Barnes and Burks self-priming pumps are designed to meet a broad range of general and special industrial applications. Base mounted pump models are available with motors up to 150 hp, while closed-coupled pump models are available from 1/3 to 15 hp. BARNES LIFT STATION ACCESSORIES INCLUDING. BREAK AWAY FITTINGS, RAILS, CHAINS, PANELS, AND LEVEL CONTROLS. 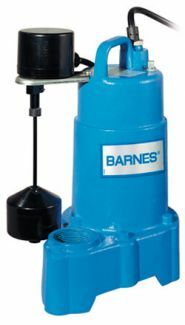 Barnes residential sump pumps feature low cost, high performance benefits from a rugged, heavy duty design. 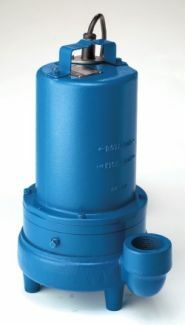 All of our sump pumps feature dual ball bearing design and thermoplastic or cast iron impeller options. Barnes sump pumps feature a variety of switch options including a magnetic switch on our SHUR-Switch™ sump pump. All Barnes sump pump are robustly designed for long operational life and dependable service. They are further enhanced by a stainless steel shaft and heavy duty seal. Barnes sump pumps save time and replacement costs because they are interchangeable with competing sump pump brands. The Barnes Battery Backup Inverter System will automatically switch the pump to be ran on AC power to DC battery power, the system is recommended to run with the SP33, SP50, SU25, or SU33.